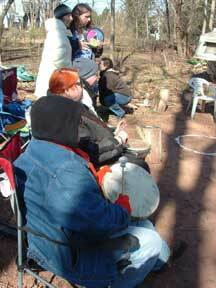 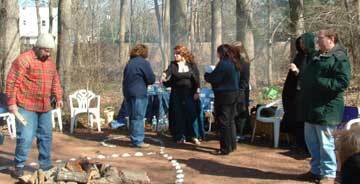 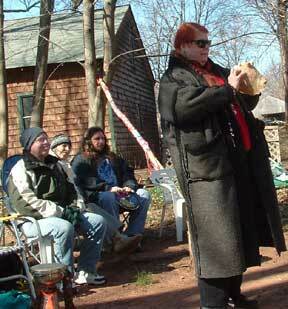 25 attended our 2006 spring ritual, which was led by Patty. 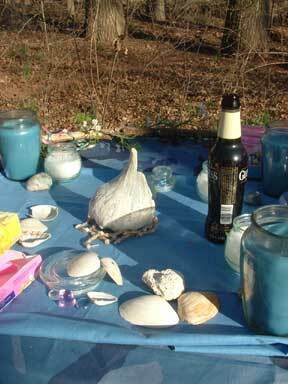 We honored Manannan Mac Lir, our Grove Gatekeeper, Son of the Sea, Celtic God of liminal spaces, honoring the Spring and consecrating our grove well water, and the ritual was performed in groups of 3 around a triskele of shells and stones. 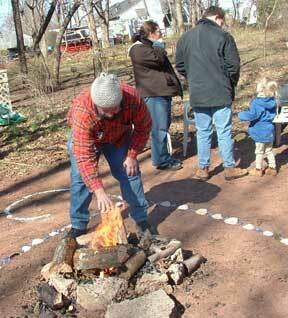 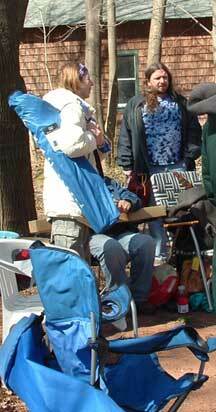 It was chilly and a bit windy, but we kept the sacred fire going. 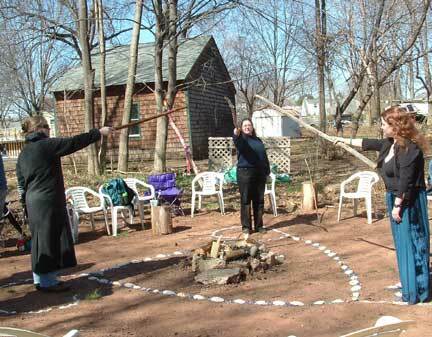 We each added local water and special water to our grove well and blessed the well, and as the magickal working, Patty and Manannan blessed tools that people brought. 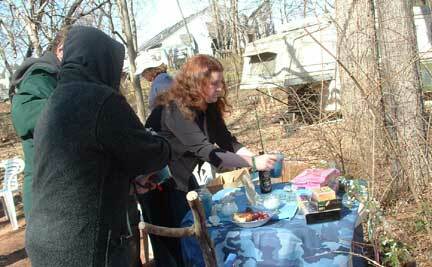 Our omens were from 3 different tarot decks. 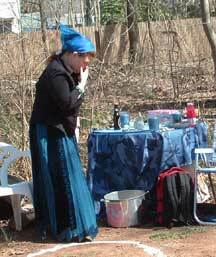 From the pomo (postmodern) deck we got the "evil" card, their version of the devil (we did invoke Manannan in his trickster guise), from the "Celtic" tarot we got the ace of cups, and from the "Herbal" tarot, Lady Sue drew the instruction booklet. 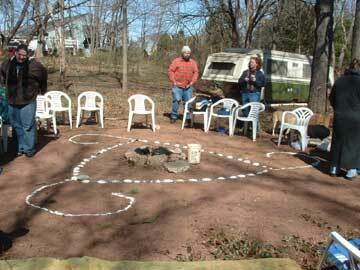 After the ritual, we roasted Peeps on the fire, ate lots of food, frolicked in Sue's enchanted backyard, and then attended Portal of the Porcupine's Wiccan ritual that evening. 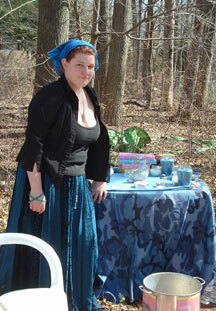 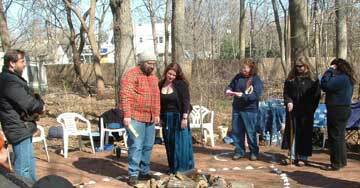 CLICK HERE FOR MORE SPRING RITUAL PHOTOS!